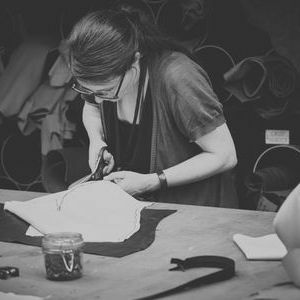 I’m a traditionally trained tailor, a graduate in Fashion- and Product design and a self-taught maker. After working for different companies in Switzerland, Iceland and the Netherlands, I founded STUDIO BON where I materialise my experience from the past 13 years and share it with a divers clientel. The focus is on developing abstract ideas into concrete products through design, material, construction and storytelling. I like to share my passion for films while supporting the vision of great filmmakers and there is nothing more thrilling to be part of a film set and make costumes that will outlive us all on the screen.